When I landed my first babysitting jobs around 7th grade, I made maybe $20 per gig, and that involved wiping butts and mopping snot. Instead, I could have been curing ham and stacking cash. Dammit. Gentry’s ham was the overall prize-winner, earning a score of 83 out of a possible 100 points from judges. When that ham subsequently went up on the auction block with a starting price of $500, the bidders went, ahem, ham. I think there’s a joke to be made here about pork-barrel spending, but that might be hamming it up a bit. Now that we have the feel-good ham news out of the way, I must apprise you of the week’s second-most-important ham story. 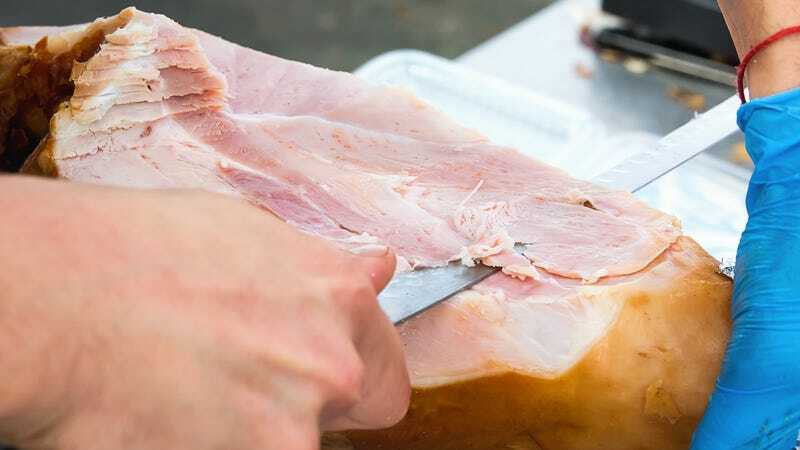 Unfortunately, this one is a bit of a downer: Smithfield Foods has shuttered the last remaining smokehouse making genuine Smithfield ham in Smithfield, Virginia. This is the pork-world equivalent of Detroit closing auto factories, so ingrained is ham in the town’s identity. This weekend, pour out some bacon grease for the Smithfield plant.